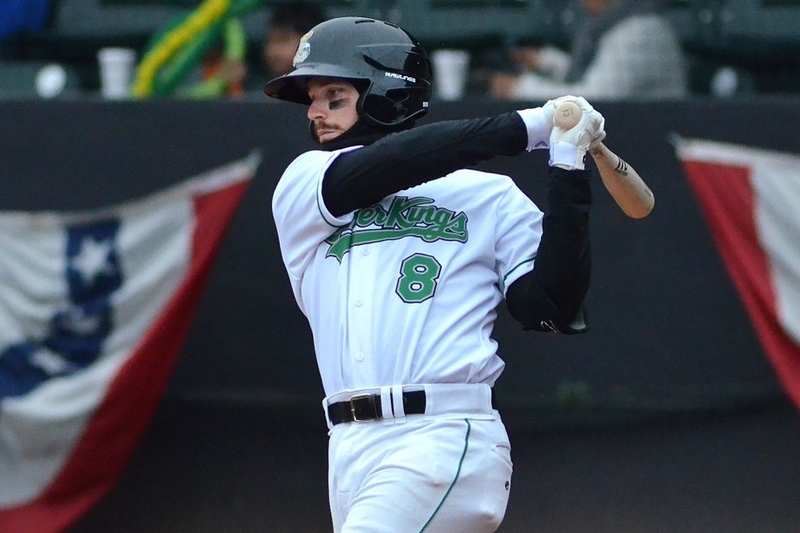 Clinton LumberKings infielder Conner Hale and Quad Cities River Bandits RHP Albert Abreu respectively were named the Midwest League offensive player and pitcher of the week for the period of June 27 to July 3. In six games during that time, Hale batted .522 (12-for-23) with three walks, two homers, seven runs batted in, and seven runs scored. He is batting .292 with 6 HR and 32 RBI in 63 games with the LumberKings this season. During the same period, Abreu made two starts, pitching a combined 13 scoreless innings (five innings vs. the Cedar Rapids Kernels on June 27 and eight innings vs. the Kane County Cougars on July 3). In those two starts, he notched 11 strikeouts while allowing only nine baserunners on five hits and four walks. Overall this season, Abreu is 2-6 with a 4.20 ERA, two saves, 82 strikeouts and 38 walks in 64.1 innings (15 games/11 starts). 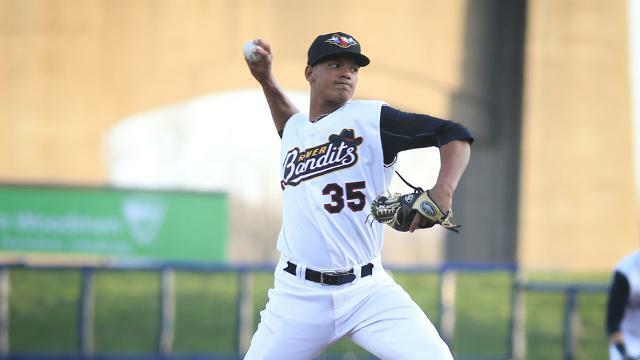 One of Abreu’s rotation mates, RHP Elieser Hernandez, may be the early leading candidate for the next Midwest League pitcher of the week award. On Monday he struck out 10 batters and allowed only one hit and one walk in eight innings against the Beloit Snappers. Hernandez has split this season between the Midwest League and the High-A California League. He is 4-2 with a 2.28 ERA, 30 strikeouts and seven walks in 27.2 innings (six games/four starts) for the River Bandits. He went 1-4 with a 9.10 ERA, 16 strikeouts and 17 walks in 28.2 innings (eight games/six starts) for the Cal League’s Lancaster JetHawks. This entry was posted in Beloit Snappers, California League, Cedar Rapids Kernels, Clinton LumberKings, Kane County Cougars, Lancaster JetHawks, Midwest League, Quad Cities River Bandits. Bookmark the permalink.